Suspended from a concealed flush mount and 40cm Tiffany shade, this ceiling fitting will brighten the gloomiest space, enhancing any large home with the beauty of Tiffany lighting. 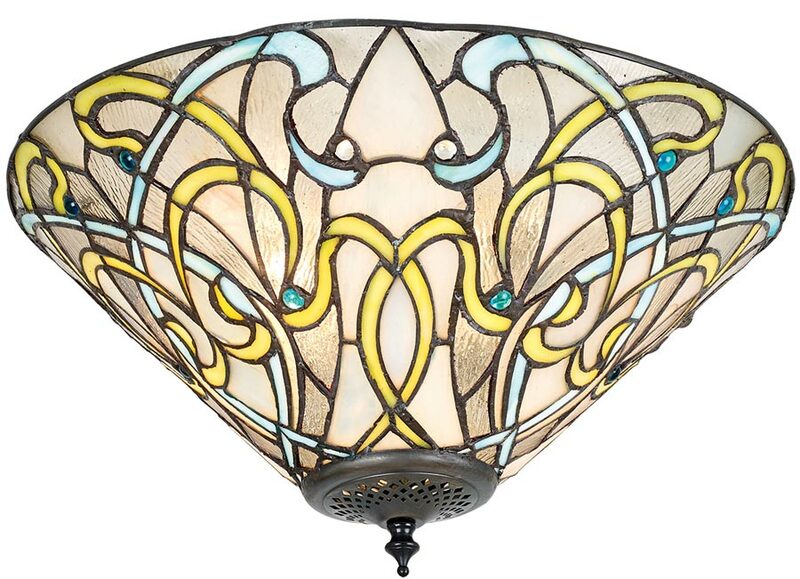 With an array of subtle colours and different glass finishes in the design, this Art Nouveau inspired Tiffany ceiling light is quite simply stunning. The Dauphine flush Tiffany ceiling light is a stunning work of art, brought to you by Interiors 1900.